Swarovski crystal figurines are available at Crystal Exchange America, a professional brokerage service of 15 years, dedicated to helping Swarovski collectors buy and sell retired Swarovski crystal figurines, ornaments, and collectibles. Crystal Exchange America is reputable, knowledgeable, and has a world-wide customer base with thousands of satisfied customers. Swarovski crystal fanatics can go to www.CrystalExchange.com to obtain more information about safely listing, buying, and selling retired Swarovski, limited edition Swarovski, Swarovski Silver Crystal, and Swarovski crystal figurines. Kristall Buzz Swarovski News and Articles, by Crystal Exchange America, is licensed under a Creative Commons Attribution-NoDerivs 3.0 Unported License. 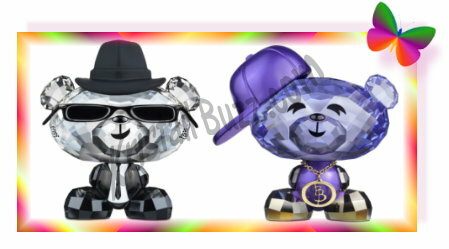 Swarovski Hello Kitty Crystal Cat Figurines in 2013 Swarovski Flower Power to the Bunnies in 2013!